Added point and click raster position breakpoints. Breakpoints can be disabled with out being deleted. Added command window with assemble, disassemble and C64 memory map selection. Added disassemble window address finder. Added disassemble window mouse wheel scrolling (WinXP+). Randomisation of drive weak bits. Minor drive timing improvement. The application is marked as “DPI Aware”. All Windows GUI elements are DPI aware and will render smooth clear text when used with Windows 7′s “make text bigger” option. Only the windowed mode C64 bitmapped rendering remains non DPI aware as with previous versions. Illegal opcode tweak for demo ‘Errata’ by Emulamer. CRASHFIX: Fixed stack corruption crash when reading G64 files with custom speed zones. CRASHFIX: Fixed application lock up bug while drag scrolling the disassembly window. Enabled editing of the CPU registers and the disassembly mnemonics. The mnemonic edit box accepts either 6502 assembly or space delimited numbers. Fixed pixel glitch while stepping in the debugger. Added up/left soft cursor keys. Tweak for demo ‘Bad Copy’ by Emulamer. Fixed joystick issues on lion machines. A new version of YAPE is available. 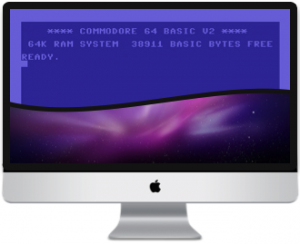 YAPE is a Windows emulator for the Commodore Plus/4. Column width and line feed bug for MPS803 emulation fixed. Regression bug in the printer cycle counter ironed out. Awkward TED drawing bug patched. Fixed another bug that caused the emulator to crash on some lion machines. Fixed a bug that caused the emulator to crash on startup on some machines. 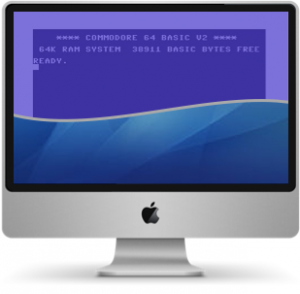 VirtualC64 supports OS X Lion. Preference panels are now tight to their individual virtual machines. CIA debug panel has been redesigned. Deprecated CoreAudio API calls have been removed. Fixed a bug in the BCD to binary conversion routine. Fixed a bug that caused the TOD to wake up too early after reading the tenth of a second register. Fixed a bug that caused a discolored line to appear at the right border of the screen texture. Fixed broken 320×200 and 320×240 modes. Added option for disabling DWM (Aero) for full screen mode. Text rendering bug fix to disassembly window. Added trace till IRQ/NMI function. Potential missed breakpoint while tracing bug fix. Miscellaneous monitor GUI fixes and improvements. VIC sprite collision timing fixes. VIC phase 2 fetch fix for Ruined Art demo. Improved CPU disassembly monitor. Instruction based scrolling. Separate CPU windows allow both clock step and instruction step with ablility to step through the IRQ and NMI cycles. VIC raster line and cycle is displayed. Fix to CIA Timer B bug. ALT Q key nuisance fixed. 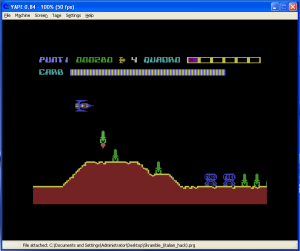 A new version of Vice is released, the famous C64 (VIC-20/DTV…) emulator comes to the version v2.3. What is new with the 2.3 release? Click here. New screen geometry. New values reflect width, height, and aspect ratio of a real PAL or NTSC machine. Added controls for shifting and zooming screen borders. Improved drag’n'drop. Thumbnail images can now be dragged from one emulator window to another. Added finder icons for all supported document types. New background texture and startup animation. Note: The version numbering scheme is changed to comply with the update framework. Fixes to the key matrix. Fixed Time Of Day alarm fail to trigger bug that was introduced in v1.0.5.27 that may cause the game Hypersports to get stuck on the clay shooting part. Audio resample mode is now on when restoring default settings. Adjusted all VIC $D011 and $D016 mode change transitions to give pixel exact output. Improved keyboard matrix emulation. Space bar now works correctly in the Nitro 16 demo. Common code base now supports both x86 and x64 compiles. (x64 bit version is tested on Windows 7 with full DirectX install). Added WinXP styles that use common control library 6. Exactly 10 years has passed since the first public alpha (or rather: WIP) of Yape saw the light of day. It is just as unbelievable as it can get… sheesh. It started off as an attempt at a more intelligent disassembler when I realized how much fun it really is to learn the hardware AND C++ programming at the same time while dealing with my all time favourite hobby. Copy & paste to/from the clipboard now respects upper/lower case mode. Partially implemented 48 bps mode of the T6721A speech LSI. Reading from open address space. 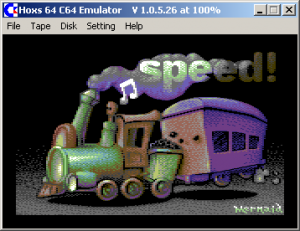 Hoxs64 is a Commodore 64 emulator for Microsoft Windows 2K/XP/Vista/Seven. Improved the VIC emulation for an pixel exact output. Optimised the DirectX video device creation. Many corrections of the VIC emulation. Added light pen IRQ re-trigger behaviour.